The Bicycle Ride Across Tennessee is proud to partner with VeloSante Cycling Services! 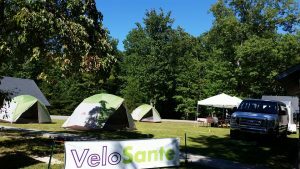 For the 3rd year, VeloSante will be providing concierge services during the 2018 BRAT that can make your BRAT experience carefree and effortless! A la carte options – towel service, camp chair rental, and more!